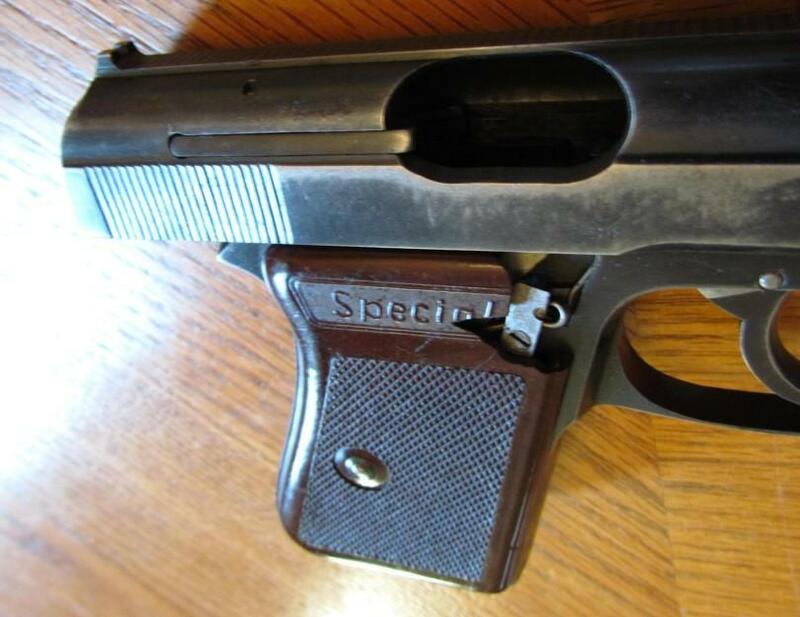 Indeed, Lon has one of the rarest German pistols from around 1930 to 1940. Only 1000 of them have been made, see attached information. It's a pity that one grip is damaged. Calibre 7.65 mm, 8-shot. Proof-marked crown/"N". 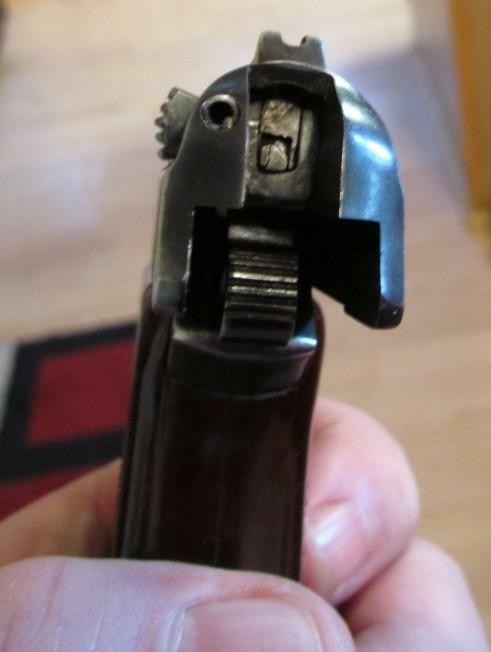 Double-action trigger, firing pin safety. 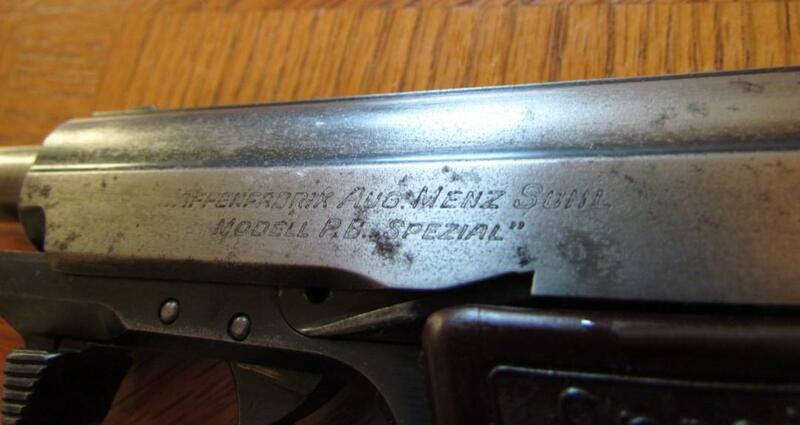 Left on slide 2-line inscription "WAFFENFABRIK AUG. MENZ SUHL / MODELL P.B. 'SPEZIAL'" with "P.B." standing for "Polizei und Behörden". 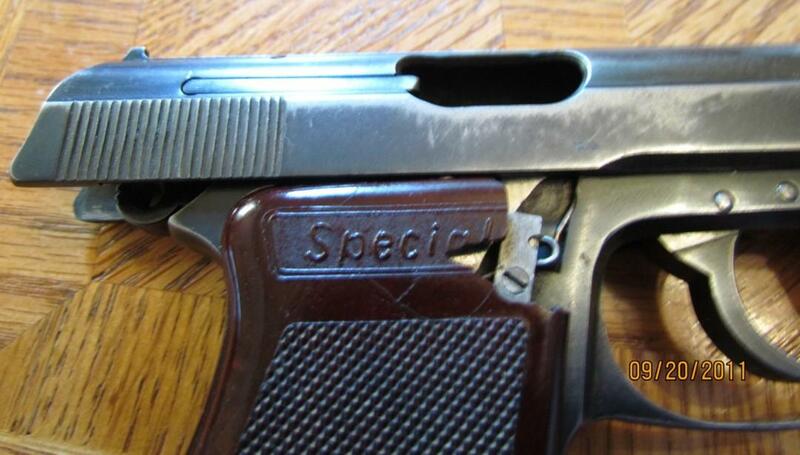 Faultless dark brown bakelite grip panels marked "Special". 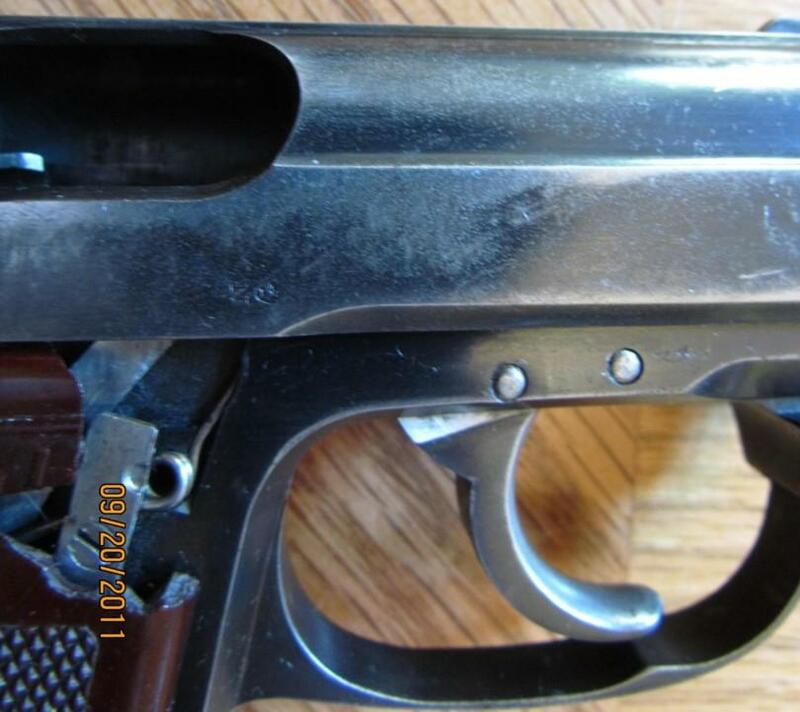 The success of the Walther pistols made August Menz design a modern pocket pistol himself in 1936. 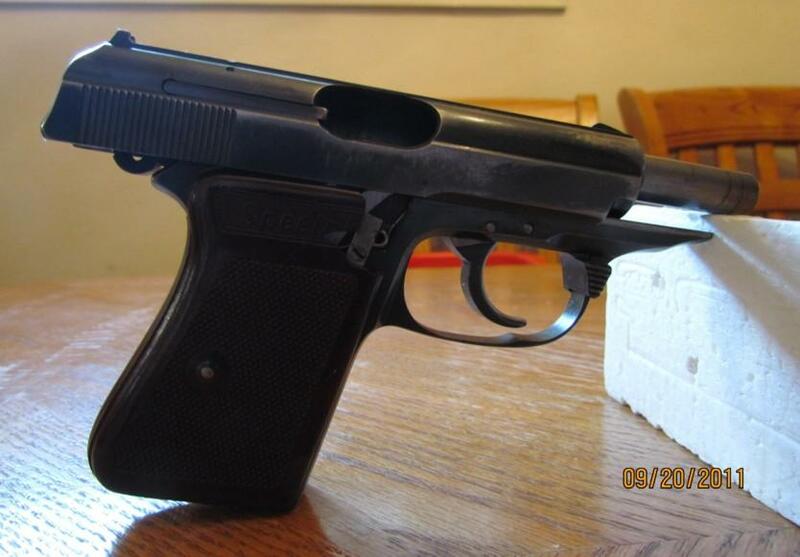 It strongly resembled the Walther PPK, technically, however it is considerably different. 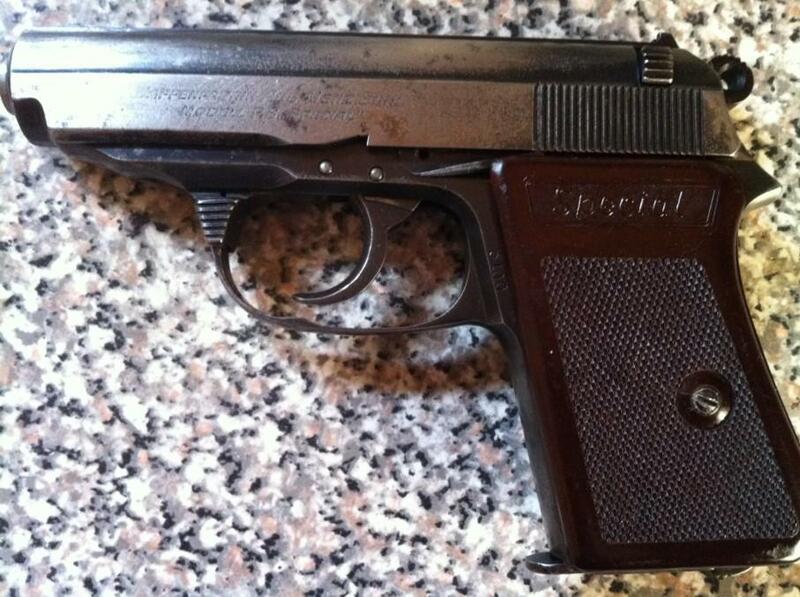 In 1937 the Menz company was sold to Lignose Ltd. and production discontinued after approximately 1000 weapons had been made. Therefore the Menz P.B. 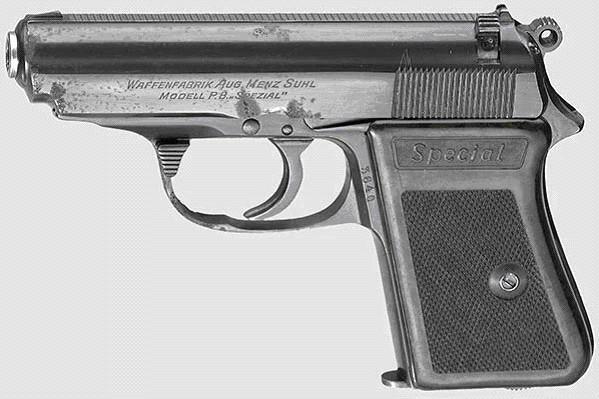 Spezial is one of the rarest and most sought-after pistols from that time and, along with the Gustloff Pistol, is still a needed item in almost every collection. Waffenfabrik August Menz of Suhl. The Liliput went on sale in 1920. 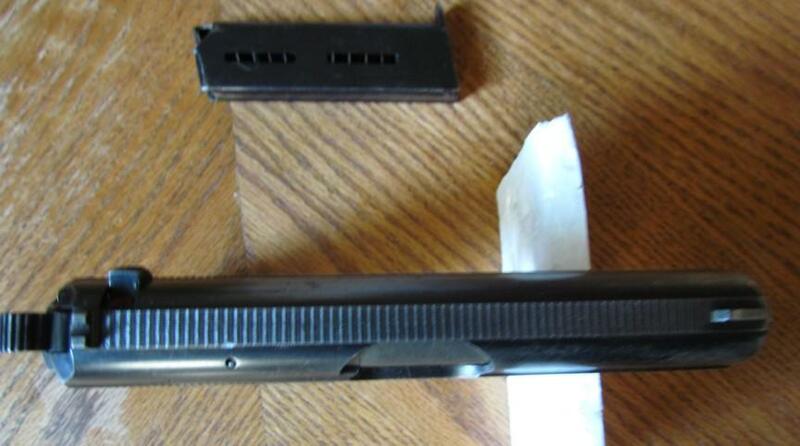 The cartridge had originated with the Erika made by Pfann prior to 1914. 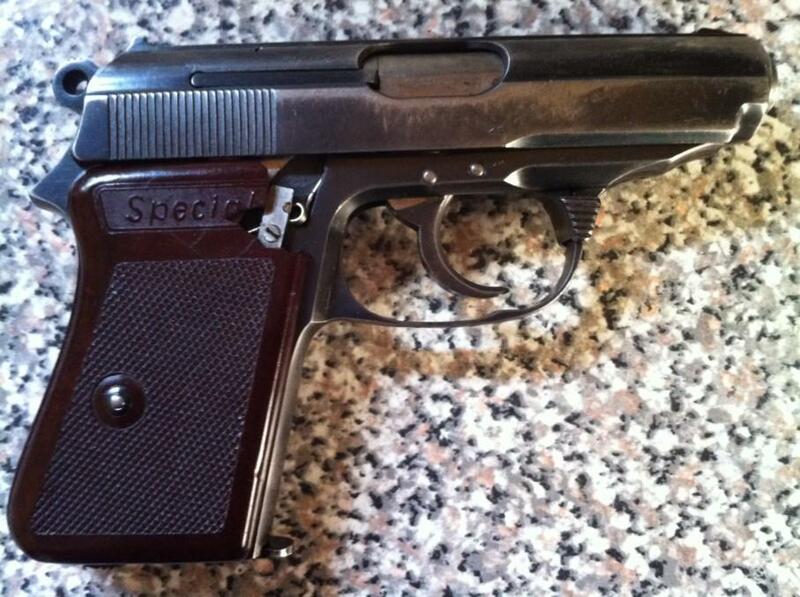 Menz adopted it to keep his pistol as small as possible. 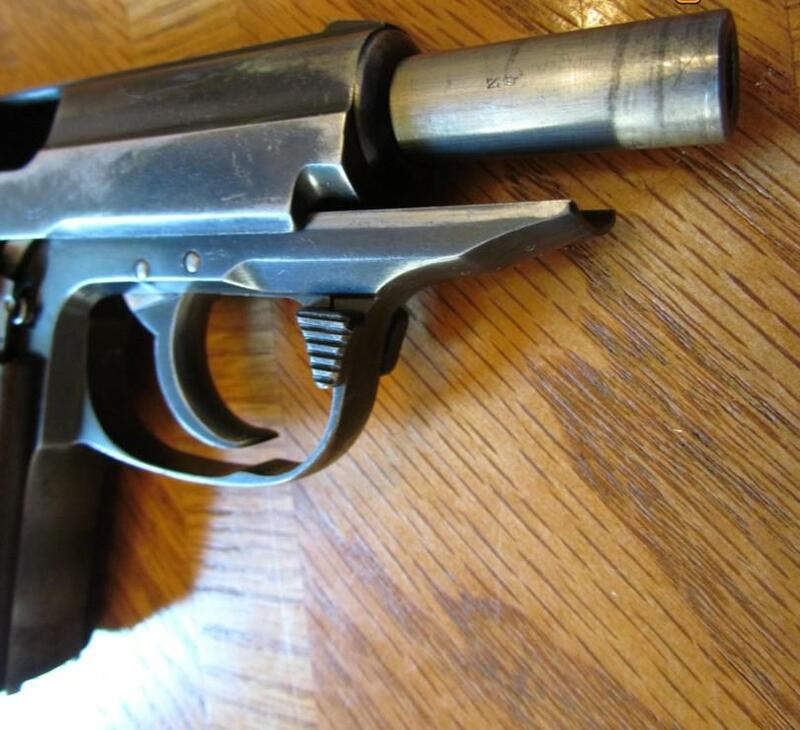 Although firing a cartridge which was far from common, the Menz Liliput appears to have had a lengthy production life. Specimens engraved "Modell 1927" are common. Nevertheless, Menz was sensible enough to see that the Liliput would be more popular in well-known caliber, in 1925 offering a 6,35 mm auto version. And here we are in 6.35mm!